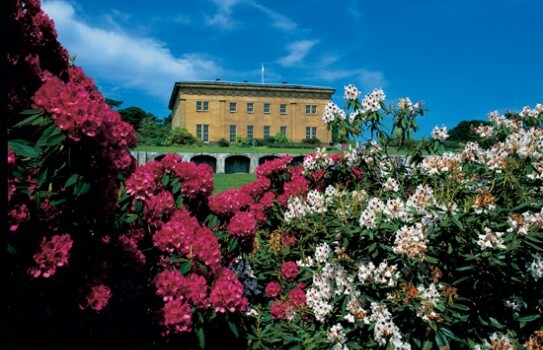 The gardens at Belsay Hall date from the late 1700s and have evolved from that time to become one of the best in the Northern Counties. Belsay Hall Garden - One of the features is the 11 acre quarry where many exotic and rare plants grow including palms and eucryphias. Rhododendrons flower from as early as November to August. There are also fine terraces with fine bedding displays and herbaceous borders. Woodland walks by the lake give added interest. Belsay Hall is well worth a visit. Please see webisite for more details on opening times. Disabled access, restaurant, shop.